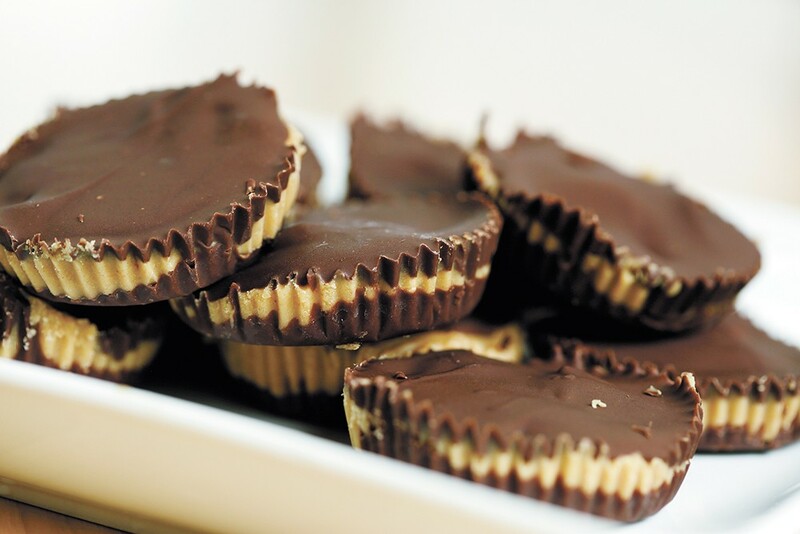 Peanut butter and chocolate edibiles; find the recipe at inlander.com. We're to the point now where if a friend offers me any unpackaged candy or baked good, I begin processing the potential risk that it's "special." Even an open package of frosted sugar cookies left a group of friends side-eyeing each other until there was confirmation that the batch came from a grocery store. Since legalization, edibles have become more and more common both in cannabis culture and recreational shops. Headset Inc Analytics reported that pot-infused goods had a 121 percent increase in sales in 2016 compared to the year prior. So as the tactic of consuming pot becomes more commonplace, here is a little refresher and perhaps a deeper dive into the difference in ingesting your bud. The most often understood difference between ingesting and inhaling weed is length of the high as well as its onset. The common mistake with edibles is scarfing down another dosage because the high didn't reveal itself. Often, users won't feel the effects of an edible for 30 minutes to 90 minutes depending on how empty their stomach is. But the high lasts much longer as well. While smoking bud immediately gets you high and has you blissfully coasting for a couple of hours, ingesting an edible can last anywhere from three to six hours. But there is even more to the difference in how your body reacts to ingesting cannabis. When you eat a pot goodie, the THC is processed by the liver. The metabolized THC is referred to as 11-hydroxy-THC, an active metabolite that carries over from the stomach and liver to your blood system and eventually your brain. That process takes longer to complete than inhaling's "blood-to-brain" route, but it's also more intense. This is because the process of THC to 11-hydroxy-THC begins immediately through breakdown by saliva. THC is an oil which makes the breakdown in the blood system harder or at the very least less effective (making a shorter high). But once it becomes 11-hydroxy-THC, the THC becomes water-soluble and easier to diffuse to your brain, creating a stronger high. The original print version of this article was headlined "High Cuisine"